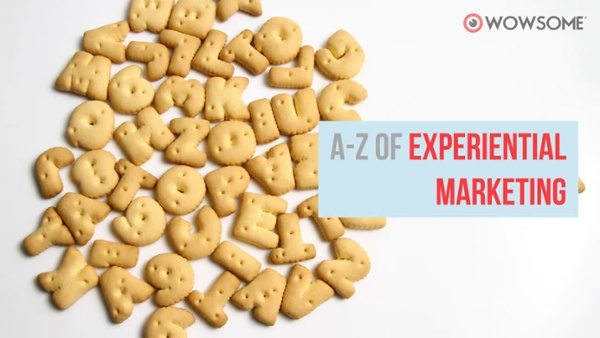 This post is a part of our series on Experiential Marketing (visit the main page by clicking on this link) or download the guide directly in PDF format from below. Augmented Reality technology is the future of experiential marketing. Bespoke solutions that allow users to scan an advertisement to get additional information in form of digital layouts over the real world to augmented reality lens that works with SnapChat- a whole range is available to the marketer today. It feels like a natural extension of what the user has already been doing, and the crowds are always delighted by it. Augmented Reality technology lets the user experience a product even before it is manufactured (experiential branding) – like seeing what the new furniture from Ikea will look like in your room, without actually getting the furniture home. The time when a marketer could think of a single channel through which she would target her market is long gone. You now have to focus on creating a seamless customer experience across multiple touchpoints and channels – that is the only way to activate the customer’s trust in your brand. Think of all the channels – digital or otherwise – as a single platform for experiential branding and for interacting with the customer. The key to a successful and innovative experiential campaign is satisfying your customer with every interaction. To create an experiential marketing strategy, you should start by asking two simple questions: "What does the audience think and feel now?” And “What should the audience think and feel after they have experienced the campaign?” Once you have these figured, your focus should be on designing an experience that will take the user on a journey from the former to the later – in a manner that has them delighted, not just satisfied. Experiential marketing provides you results backed with data. Whatever your metrics for marketing campaign success are, Experiential marketing can collect and provide data around the same. Participant numbers, engagement duration, demographic data, contact and lead information can be easily collected as part of your marketing campaign. Data collection can be built into the experience, or easily added as an additional feature. All marketing campaigns aim for the same endgame: engaging the audience and winning their minds. When building an experiential campaign, always remember that engagement is not what happens at a single touchpoint alone. Rather it is the whole courtship between your audience and you. You have to aim to continuously engage them throughout their journey. You have to build a long-term engagement strategy tying together the various touchpoints and channels through which you interact with your audience. Be it Verizon’s virtual reality scavenger hunt, Google’s pop-up donut stores or Glenfiddich reinventing wine tasting – the successful experiential campaigns over the last year have been about creating a futuristic experience to wow the audience. Using the latest advances in both AR and VR allows you to drive home the fact that you are on the cutting edge within your domain as well – always pushing the envelope on what is possible for your customers. How much of an Internet bandwidth will it take up? Will it be available at the venue? Will the user intuitively understand the game element? Or will it require additional effort from her? Will you be able to gain new insight into your customers through the game elements? Will it be challenging enough to make the user feel accomplishment at the end of the experience? Is it too difficult for the audience to even attempt trying to “win” this game? Immersive marketing allows you to take the user into a world that you have built, and showcase your products to them in a manner they have never experienced before. Immersive storytelling techniques are the backbone of creating a successful campaign of this kind. Ensure that the seams are invisible, and the suspension of disbelief never questioned while they are experiencing the magic. Technology is your friend in achieving this, but remember that it is more of a logistical and creative challenge than a technological one. You have to ensure that all the behind the scene activities should be hidden behind perfectly timed handovers. Gone are the days when immersive marketing campaigns could win the audience just by being unique. Today, any successful experiential marketing campaign has to take the audience on a journey. While you guide them from point A to point B through a relevant and exciting story, their feelings towards your brand or product changes in positive ways. Look at how La Petit's innovative marketing campaign did it and see whether you can adopt something similar into your experiential marketing strategy. Kiosks serve two major functions when it comes to experiential marketing: first, they provide the physical space where the experience will unfold. But more importantly, it sets up the emotional state your audience will be in. Do not forget that the travel experience to reach your kiosk starts shaping the user experience, ask yourself what will the first impression on your audience be when they see the kiosk itself – this is well-before the experience you have crafted gets a chance to impress them. Remember that the emotional delivery of the kiosk is a key aspect of the overall experience, and can make or break a campaign even before the audience gets to experience it. When creating an experiential campaign, remember you are not just creating an event – you are crafting an experience that will leave a lifelong impression on your audience. Your experiential marketing event must standout – make it personal, mix the virtual and the real, add value to your user's story, and let her have tons of fun. Also, ensure that it is a start of a conversation that will go on for long – not a one-off event but an entry point into your world. Getting stakeholder buy in for Experiential Marketing efforts might be tough. Experiential marketing can easily be integrated into your existing marketing attribution systems. These would enable you to demonstrate the continued value of your marketing efforts, and secure stakeholder buy in for your efforts. While mass marketing may still work for some brands, we have reached a point where addressing a niche audience is way more effective for most. Technology has ensured that targeted campaigns are cost-effective to mount as well. Once you know who your target group is, find innovative ways to reach just them. This way your message can be to the point, and will automatically cut through the clutter as well. For example, a week-long, 24 hours a day technology festival called Campus Party created geeky graffiti to market the event. The passer-by had to recognize that a code is hidden in the graffiti and crack it to win passes to the event. Only the target audience will be able to recognize the code - and no one else will even give it a second glance. Plus, the ones who recognize it will work with their friends to crack it, bringing in a more relevant audience. Once you have mounted a campaign, you have to work to expand its organic reach – as when you reach your customers organically, you have already gained some of their trust. The best way to do this is to use niche experts and local influencers. These are people your audience already trusts – they need not have a few hundred thousand followers, but even the small group that follows them must be loyal and trusting. Once they talk about you, some of that trust is passed on to the new relationship as well. With digital tools becoming a staple of Experiential marketing campaigns, personalizing the content and experience of your campaign is becoming easier. You could target the appropriate audience with relevant content and personalize it based on their response. This would allow you to rapidly A/B test your marketing message, and deliver a marketing message that is best fit for your audience. Capture both quantitative and qualitative reactions of your audience. Turn them into insights that inform your campaign. Wikipedia says an insight is “an understanding of cause and effect based on identification of relationships and behaviors within a model, context, or scenario”. That is quite accurate, but each event is unique and each audience responds in its own unique way. There is no substitute for experience when it comes to deciding on which insights to act on and which ones to ignore. Therefore, do not try to design the experiential marketing campaign all by yourself. Engage experts who have done this over and over again, and use their insights coupled with your knowledge of the target audience group to build a successful campaign. The audience today does not just want to sit down and listen to what you have got to say. They want to make their reactions known to you – and if you don’t provide them the right channel to do so, they will find their own. Therefore, make sure that you bake in their responses into your experiential marketing event. Let them see that their response is important for you – that you are listening to them whenever they want to talk to you and that you care about customer satisfaction. Listen. Keep your ears to the ground and listen to what your audience is saying, craft your content to match their interest. Respond. Do not use social media as a broadcast channel. Interact with your audience, answer queries they may have, thank them for any compliments, guide them if needed. Encourage conversations. Share images, quotes, behind the scene activities. It is typically believed that social media is driven by user-generated content. While this is true to a large extent, do not expect the community to do all the work. You need to be as social as you expect your audience to be. Question. Yes, you read that right. Throw open-ended questions to the community so as to encourage them to converse with one another. Ask questions like “who do you think…”, “what do you think…” etc., which encourages them to share ideas and create user generated content. Experiential marketing today is built on the backbone of technology. A plethora of platforms are available to you as a marketer to craft the experience for your audience. But not all platforms are equally adept at all kinds of campaigns. You must pick up the right tools for the right job. Remember that you do not have to do it all alone – a creative team and a tech team has to join hands to mount a successful experiential event. Some of the available experiential marketing technology that you can use to transform your customers' experience are augmented reality lens, virtual reality glasses, motion sensors, IOT sensors, depth sensors, etc. User-generated content, word of mouth marketing, and especially the use of social media, have become an essential medium for all marketing campaigns. When it comes to experiential marketing, you must make it as easy for your audience to talk about you as possible. Encourage them to take pictures, and videos, use augmented reality to encourage them to take their phones out and share their content with their networks. If you are a regular reader of our blog, you would have seen the many examples of this that we have shared earlier. At its core, Experiential marketing is a philosophy with the user at its focus. Despite what common examples might make you think - Experiential Marketing isn’t limited to a specific type of product or marketing style. A skilled storyteller can create an Experiential Marketing campaign tailored for any product, whether it is a commercial truck or a pesticide launch. Should the experience you design be physical or digital? Well, the lines are already beginning to blur. We live in the world of “Extended Reality”. Your audience has already seen augmented reality, virtual reality, and mixed reality in action, thanks to their smartphones and apps like SnapChat, Messenger, Instagram, and Pokémon Go. Everybody is at least aware of how extended reality works. Your customer experience will also have to live on this spectrum to be able to impress the audience and cut through the clutter. The young had never been a bigger market force than they are today. Empathize with them, and be creative in how you reach them so as to earn their attention. Remember, it is not about how much airtime you can get, but about how long you can capture their attention. All marketing campaigns need to be zingy. Given the amount of information that your audience is bombarded with all through their day, it is important that they recognize you with least effort and are attracted enough to seek the experience out themselves.